Health bosses are drafting an ambitious vision to use Moray’s biggest hospital as a “training and education centre” in an attempt to break a cycle of recruitment crises. Overnight children’s services at Dr Gray’s Hospital in Elgin were restored this month after being suspended for nearly two months. During that time, youngsters requiring inpatient paediatric care had to be transferred to either Aberdeen or Inverness due to a shortage of junior doctors. Maternity and gynaecology services also came under threat until locums and NHS Grampian staff from elsewhere were drafted in to cover the gaps. Now the head of the health authority, chief executive Malcolm Wright, has ruled out withdrawing any service permanently due to constant shortages – instead focusing efforts on how to sustain them. Senior management are drawing up plans to ensure a constant rotation of trainee staff visit Moray to expand their knowledge. It is hoped the move will have knock-on benefits for smaller hospitals in the rest of NHS Grampian with staff gaining a “broad” experience. 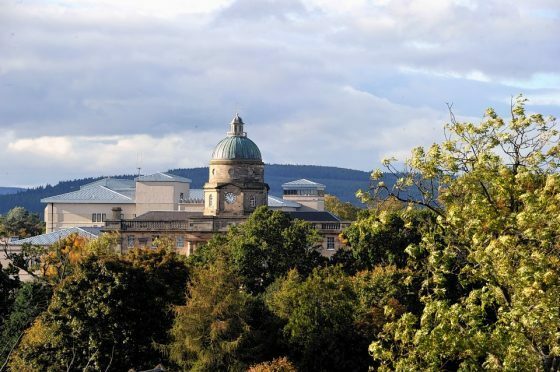 Last night, the proposals were praised for making Moray a more attractive destination for doctors to fast-track their careers over a city posting. Mr Wright said: “We’re working with NHS Education for Scotland in terms of developing training rotations for young doctors and nurses coming through. A new family room was opened on Ward Five at the hospital last week, which will also double as a venue for training and presentations. Mr Wright admitted wider recruitment to the hospital remained a “real challenge” in Elgin as well as the rest of Scotland and the UK. NHS Grampian, Moray Council and Highlands and Islands Enterprise have joined a “task force” to work together to fill skills shortages – also affecting teachers and engineers. Yesterday, Moray MSP Mr Lochhead explained he was pleased to see a new role being carved out for the region’s biggest hospital as a medical training and education centre. October 2016 – Medics drafted from Inverness and Aberdeen to provide emergency help for Parkinson’s sufferers after one consultant retires and the other takes a sabbatical. February 2017 – Nurses put through specialist training so eye clinic appointments can return to Dr Gray’s from Inverness and Aberdeen. July 7, 2017 – Fears raised women in labour could have to travel to Inverness or Aberdeen to give birth due to junior doctor shortage that also affects children’s ward. July 27, 2017 – Temporary measures put in place to ensure continuation of maternity and paediatric services at Dr Gray’s. August 18, 2017 – Temporary solutions in children’s ward deemed “unsustainable”. Youngsters requiring paediatric care taken to Aberdeen or Inverness instead after inpatient service is suspended. October 16, 2017 – Children’s ward at Dr Gray’s returns to 24-hour operations following recruitment of two junior doctors.